It is not often that you see slot manufacturers working together, however a tie up between two very recognizable companies has seen the release of some popular land based slots online. 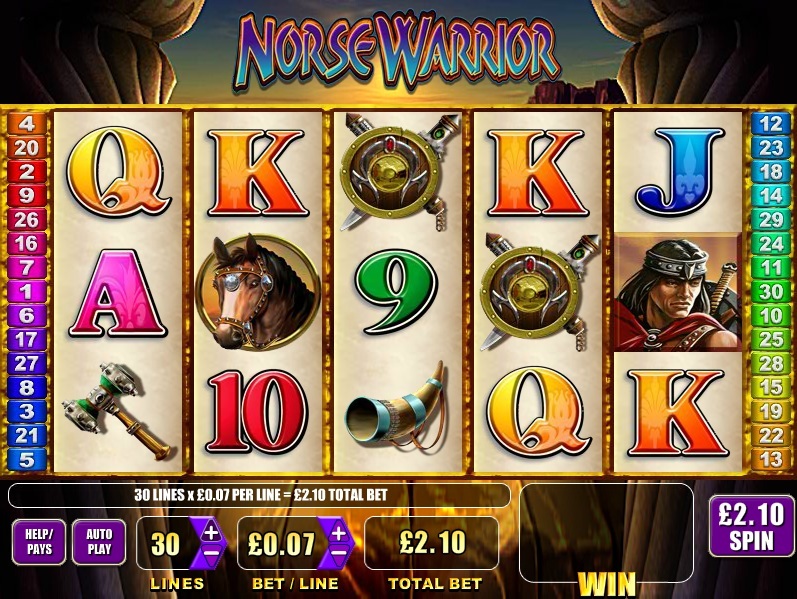 The Konami slot Norse Warrior is available through a limited number of online casinos supporting WMS software. This casino classic has also been joined by another Konami slot, Jumpin' Jalapenos, with more game releases expected in the future. If you have not played Norse Warrior before, it is a 30 line, 5 reel video slot based on the historical 'Norse' men of Scandinavia. These men were believed to go into a trance like fury when they fought, which brought around the word ‘bersek’. Let’s hope this game doesn’t make you feel the same way as those warriors! This game does offer a range of winning options, which can either come in the free spins bonus or during normal play. It is quite common to see stacked symbol wins, especially with the card symbols. The Norse Warrior symbol appears on reels 2, 3 and 4 and is wild for all symbols except the scatter. The free spins are activated by 3 or more of the Emerald scatters, which releases between 10-25 free spins, depending on how many scatters you see. This is a fairly typical free spins bonus with a 2x multiplier applied to all wins. 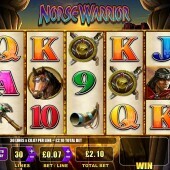 The Norse Warrior slot is a classic in land based casinos and I am sure it will really take off online. If you like classic slots then you should also check out Zeus slot and Super Jackpot Party, both of which are now online.